Many of you know that I went to Africa last spring with the Baobab Canopy Medical Mission and provided medical services as an RN to the people of the village of Chuini in Zanzibar. It was a life altering mission that gave me tremendous perspective on the breadth of human need and the importance of adequate medical care worldwide. We saw everything from untreated osteomyelitis and infections to rampant hypertension and HIV. The need there continues. I am blessed with the opportunity to go again this year and to take my daughter, Beatrice, as a student participant. The funds we raise will be used for our transportation costs and living expenses while there, as well as supplies for the mission. I'm looking to you, friends, family, and community members, to help me with this important work. I'm asking a big ask because I went last year without a lot of extra resources and found essential need that I struggled to leave unmet. This year, I'm aiming to take additional funds to provide medications, daily care supplies, and nutritional support to families with tremendous need. 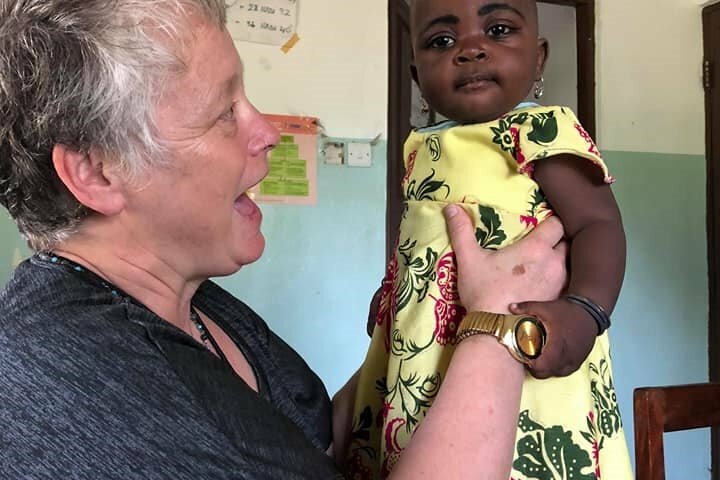 Chuini is just one village, Zanzibar is just one small island in Africa, and we are just one group of nurses and students with the goal of helping. If I came away from one thing last spring, it was that there is a lot of good work to be done in the world. Please help us make our very important mark on this village. As many of you also know, I was in Zanzibar last spring when I found out that my sister-in-law, Althea, was diagnosed with inoperable metastatic breast cancer in her brain. She did not want me to come home from my mission early. I did not, but by doing that, I sacrificed some time with her during her last weeks of life. Bea and I are going to dedicate this trip to her memory and share the story of her wonderful life with the people of Chuini. In this small way, we hope to keep her memory and story alive. Thank you all for your support! Every dollar helps. Please share this on your Facebook page to encourage other supporters! Hey folks...apparently there was a glitch that disabled my link. it's up and going again. Thanks for the continued support!